The first Grade 1 of the 2015 Saratoga meet comes on Day #2. Race #10 is the Diana, for fillies and mares over one mile and 1/8, and this year’s running has attracted a small, but select, field of seven. The TimeformUS Pace Projector favors neither frontrunners nor closers, and it places #6 My Miss Sophia on a clear early lead. Only recently switched over to this surface by Bill Mott, she made her turf debut over this distance at Belmont Park last month, and devastated an overmatched field of allowance runners with a TFUS Speed Figure of 126. She is stepping up on Saturday afternoon to take on an accomplished field, one that includes three prior Grade 1 winners on turf, but My Miss Sophia was always a filly of some promise on the main track, and if she has found a home on the grass, she may prove to be very difficult to track down late in this race. The horse projected to be in closest early attendance to the pace of My Miss Sophia is #1 Tepin. Handy, talented, and on an upswing, Tepin has won three straight races, including the Grade 1 Just A Game on the Belmont Stakes undercard back on June 6th. 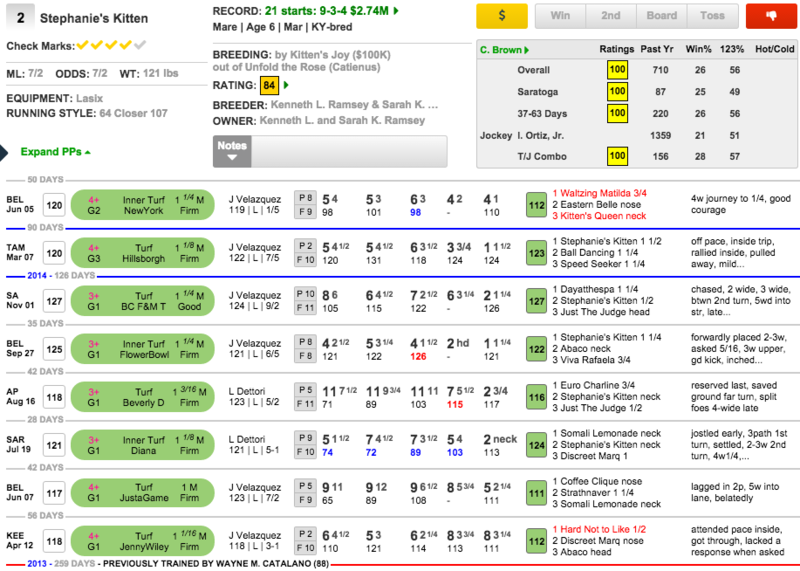 She had all the best of it that day while tracking along with a slow pace (note Pace Figures/fractions shaded blue), and she similarly took advantage of comfortable circumstances to win a Grade 2 one start prior, while loose on the lead. She has earned TFUS Speed Figures of 119 and 123 for those last two wins, and while she has had circumstances in her favor, she is also clearly an improved horse. Rather than being a knock on her, her handiness and versatility are an advantage, and make her dangerous every time she steps on the track. #4 Hard Not to Like recently picked up her second career Grade 1 win, in the Gamely at Santa Anita on May 25th. That Gamely field was a slight cut below this Diana (Race Rating of 120 for the Gamely; Diana gets a preliminary rating of 124), and Hard Not to Like, while in traffic for much of the stretch run of that race, was expertly ridden by Victor Espinoza that day, as he never panicked while just biding his time until the daylight came. Once it did, Hard Not to Like was there for him, and she did the rest. Her best race, which she seems to show up with with regularity, may leave her a little to find when compared to the best race of some of the others, but with Hard Not to Like, you don’t have to worry about her bringing it. The two horses we are going to key on in the Diana are #2 Stephanie’s Kitten and #7 Lady Lara. Stephanie’s Kitten needs no introduction. A Grade 1 winner in her third career start, as a 2yo of 2011, she has since taken down two more prizes at racing’s highest level, and she was also a winner of the Breeders’ Cup Juvenile Fillies Turf as a 2yo. Her last race, despite enduring an unnecessarily wide trip, was a disappointment. Not only was she outclosed by the longshot Eastern Belle late in the race, but she never managed to work her way past Kitten’s Queen, who was entered as her rabbit (as she will be in the Diana). Based on her 2015 debut, an easy win in the Grade 3 Hillsborough at Tampa with a TFUS Speed Figure of 123, she has come back as good as ever as a 6yo. To us she is the best horse in the race, and we are willing to give her the chance to bounce back. Lady Lara appears to us to be an emerging talent for Mott. She does have to stretch out a bit here, which is of some concern, but she was badly compromised when trying to rally from off the pace in that slow-paced Just A Game behind Tepin last time, and we thought she did quite well to finish as close as she ultimately did. With My Miss Sophia in the field to ensure a more honest pace, she may well be able to improve upon that fine effort, and she will be a price in this race. The Play: We like Stephanie’s Kitten to bounce back in this race, and would take her to win at her ML odds of 7/2. We will use both of Mott’s fillies, #6 My Miss Sophia and #7 Lady Lara, with her in exactas. 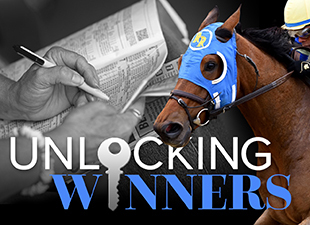 Looking for our full Betting Strategies–with tickets updated for scratches–at Saratoga on Saturday? 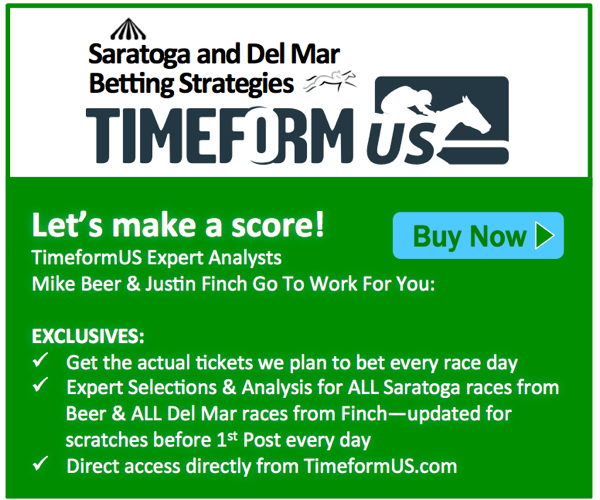 They are in our Saratoga Betting Strategies. Click here to get access.